Here are easy and simple tips to reduce waste, get more nutrients, and save time and money. Whether you’re a juicing or smoothie beginner or a long-timer, we guarantee that you’ll find some surprising and all helpful! Juice separates the juice from the pulp whereas a smoothie includes everything. The pulp is full of nutrients so it stands to reason that smoothies contain more nutrients. This oft-argued point is not necessarily true, because the high powered machine that makes a smoothie adds heat and oxygen which actually destroys some nutrients. So the difference in nutritional richness between a smoothie and a juice is not worth arguing. They are both worlds better than anything bottled or canned! The important differences involve calories and fiber. One of the myths of juicing is that when pulp is removed, there goes all the fiber. The truth is some fiber is lost, but not all. Much soluble fiber remains in fresh juice while most insoluble fiber is removed. The pulp is additional calories so juice is preferred for weight loss. But those with digestive issues will find more help in the fiber-rich smoothie. Also, one of the most powerful cholesterol-lowering compounds is insoluble fiber so a smoothie would be our choice for lowering cholesterol. A quick note about the machines that make juices and smoothies. You can use a cheap kitchen blender to make juice but the soupy grit will need to be strained thru a coffee filter which takes time. It’s just not powerful enough to turn a whole fruit or vegetable – skin, seeds, and all – into a smooth drink. A more expensive machine is required. However, your cheap blender is very useful for adding avocado or banana to your juice – foods that clog most juice machines. According to nutritionists fruits and veggies don’t mix with two exceptions: carrots can be mixed with any fruit, and apples can be mixed with any vegetable. But then again we mix all kinds of fruits and veggies in our juice recipes without any digestive issues. Leafy greens are so packed with nutrients they are called ‘superfoods.’ The most super of them all is wheatgrass which you can grow easily at home. Greens are bitter and powerfully rich so you only need a bit to benefit. Too much may upset your stomach. You can also reduce the bitter taste by adding a little lemon. ‘Centrifugal’ juice machines are less expensive, but they don’t do greens, and we hope we’ve convinced you of the importance of adding greens to all your juice recipes. We suggest a ‘slow’ juice machine (about $300 – Hurom 100, Omega VERT, or Breville Crush) which adds less heat and oxygen thereby preserving more nutrients. Rough skins, such as pineapple and avocado, and any pits and seeds should be removed. But apple skin and citrus peel are edible (except the orange) and full of nutrients. Also the pith, that soft white material just under the rind, also has nutrients. As for pulp, add mayonnaise to it for a delicious mock tuna salad. Or add pulp to pancakes, cookies, and even hummus. Some seeds and greens will upset your stomach, so make sure you are knowledgeable about that before starting your smoothie adventure. Whatever gets on the skin of fruit or veggies will be absorbed to some extent. Washing your fruits and vegetables is very effective against bacteria but not fertilizers and pesticides. Anything labeled ‘organic’ means that it is free of these chemicals. Refer to the Environmental Working Group’s annual list of the most chemically laden fruits and vegetables (‘Dirty Dozen’) that you should thus try to bury organic. Here’s a money saving trick. Just spray or rinse your berries in a solution of 1 cup vinegar and 10 cups water. Let them soak for just a few minutes and then let them dry completely. You will not taste any vinegar flavor on your berries and they’ll last a week longer without mold. The rich nutrients in fresh juice begin to disappear within minutes so drink your juice or smoothie immediately. It’s better to freeze your produce than a juice or a smoothie. Studies have found that our bodies absorb more nutrients in the morning. So have a juice or smoothie for breakfast. Research has found that children who take multivitamin supplements have higher IQ’s. 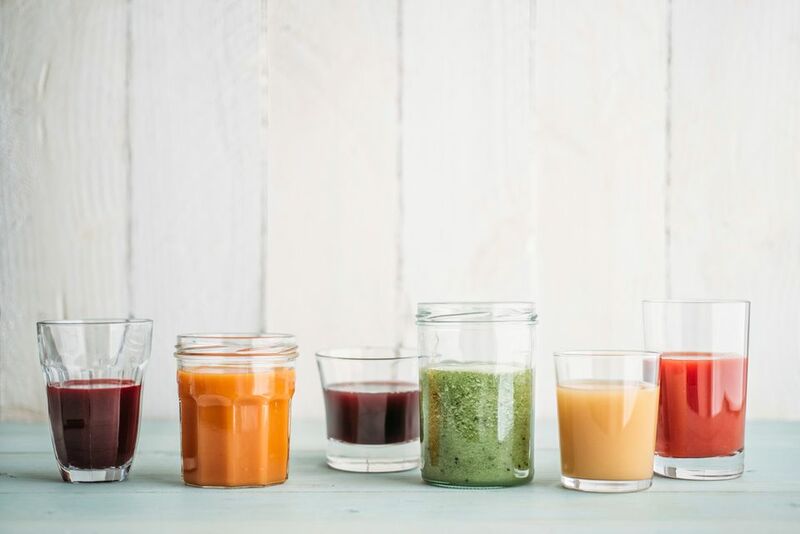 Introduce your child to fresh juice which is more nutrient-rich than the best multivitamin with more vitamins, minerals, fiber, enzymes, and phytonutrients. Also, research is beginning to question the safety of supplements. For instance, vitamin E and selenium increase the risk of prostate cancer in men under 65, and beta-carotene increases the risk of lung cancer in smokers.